Farmzie - Grow it. Sell it. Shop Local. 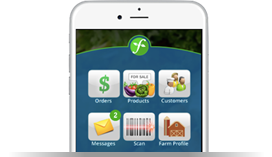 Farmzie is the most convenient and transparent way to find and buy local food and more. Everything you need to market your business and accept credit cards. Track your vendors and provide customers with a high level of conveneince. 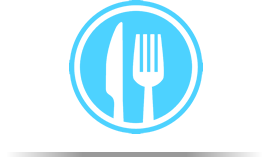 Start or automate your Food Hub or distrbution service. Build relationships with local producers, simplify sourcing, and become a Farmzie certified kitchen. 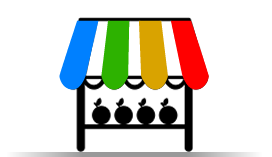 Learn about our work with non-profits. Start a profit sharing community garden. Healthy kids start with healthy food. Farmzie is a platform which connects small farmers to markets at no charge. Farmzie allows Farmers Markets to increase food traffic and allow pre-ordering. 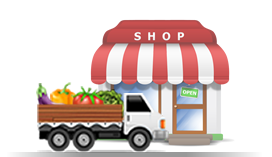 Farmzie simplifies finding local fresh food for restaurants, grocery chains, and distributors.